Other Insurance reviews by real, verified users. Find unbiased ratings on user satisfaction, features, and price based on the most reviews available anywhere. Indio simplifies the insurance application process for brokers and their clients. We make it fast, easy, and E&O free, saving your agency time and money. The white-labeled platform comes pre-loaded with a library of 5,000 digitally enhanced "smart" insurance forms and applications, a full e-signature solution, and secures document sharing. Sales, marketing and educational engine. Train producers, educate and engage clients, and market to prospects with more than 3,750 professionally written and designed pieces of content. Customizable for agency branding. Pharmacy benefit discount program. Access exclusive pricing arrangements with our PBM, including low dispensing fees, deep pharmacy discounts and rebates. Earn per-script commissions. 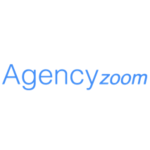 Boost Sales + Increase Retention with AgencyZoom - the revolutionary sales management tool built especially for insurance agencies. Applied Cloud is cloud systen built specifically for the insurance industry to provide your business the reliability and performance it needs. FIS offers a variety of insurance software solutions to improve their understanding of the risks and meet growing demands for detailed reporting. INSXCloud allows brokers and agents to enroll customers on the FFM on the applicant's behalf, or invite them to complete the application. Modgic is a experience modification calculator and in-depth experience rating analysis software platform. Providing accurate X-Mod calculations and predictions in most states. Developed as a powerful tool to be used for the insurance industry from producers to carriers. Worker's compensation and mod analysis tool. Uncover worker's comp cost drivers for clients with accurate and actionable reporting and analysis. Deliver long-term cost reduction strategies. Software for insurance agents to launch and manage a quality website. Commission Tracker was specifically designed for insurance agencies that sell group and individual benefits. CT is focused on managing the commissions paid to your agency by the carrier, as well as, the commissions owed to your producers. Connect is a relationship marketing platform designed to allow users to automatically send the right message to the right person when it matters most. Guidewire DataHub creates a detailed transaction repository in which internal and third-party data is subject oriented, conformed, and given common context. InsurOps is designed to help insurance companies in developing and deploying technology rapidly by enabling successful lean IT transformation across complex architectures. Transform crash reporting by automating everything from the scene of the accident to online report distribution to help reduce costs and create a more citizen-friendly process. Incorporate enhanced vehicle-related information into your rating and underwriting workflows. LoanSifter provides comprehensive tools for mortgage bankers, loan officers and secondary departments to price, market and manage loans. Majesco Enterprise Data Warehouse integrates multiple data sources from internal core systems, including policy, billing, claims and distribution, as well as external data sources, both traditional and emerging, to unlock insights. Mitchell WorkCenterTM is an open, end-to-end modular solution. Achieve better outcomes through improved accuracy and efficiency, while lowering the total cost of ownership. A turnkey online client portal for independent insurance agents and brokers to provide for their clients. Engage clients and centralize thousands of resources with an online portal. Employee enrollment software and decision-making tool used by employee benefits independent insurance agents and brokers for their clients and clients' employees. Provide your clients with tools that empower employees to make informed health plan choices. Includes plan design modeling, cost and utilization information, and plan design benchmarking reports. Sales and marketing platform for personal lines independent insurance agents. Identify account-rounding opportunities within your current database and attack your mono-line policies. Market to prospects and nurture existing client relationships with more than 500 professionally written and designed pieces of content. PolicyBox is a patent pending platform that allows for electronic policy and post issue document delivery for insurance and financial documents. ReferenceConnect helps you grow your business by giving you information from over 40 trusted insurance sources. With ReferenceConnect, you can enhance your customer service and garner the trust of your prospects. Origami Risk is an integrative and interactive command center for identifying, reducing and financing risk. The TPA is a central clearing point that will streamline and fully automate the flow of data and money between your company, your clients and their insurance companies. blueButler works with your existing phone system to automatically record and embed Operational Team phone calls in Salesforce. Sales, marketing and educational engine for insurance agents and brokers. Train brokers, educate and engage clients, and market to prospects with more than 3,500 professionally written and designed pieces of content. Customizable for brokerage branding. Sales, marketing and educational engine for independent insurance brokers. Train brokers, educate and engage clients, and market to prospects with more than 3,750 professionally written and designed pieces of content. Customisable for brokerage branding. Campana Insurance Leads Tracking System automate and streamline how sales leads are captured, disseminated and managed. This automates lead routing process to ensure the proper handling of each type of insurance. Certificate of Insurance tracking and management software. CommissionsEZ is a simplified solution built for insurance brokers to manage their commission payments on a policy-by-policy level. Contactability is a insurance calls and leads platform. This web-based software asks for the state the customer is in, so he only has to fill out the necessary information for that state. Datacard Adaptive Issuance Suite is a complete family of products for secure document issuance. Datacard Adaptive Issuance Data Access provides the platform for users to execute custom applications that access and act on the production data of a Central Issuance system, and also provide audit processing capabilities. Datacard CardWizard issuance software is the world's best-selling instant issuance solution for Visa and MasterCard credit and debit cards. With more than 7,500 installations worldwide and over 15 years of experience, Entrust Datacard empowers financial institutions and retailers of all sizes to put ready-to-use cards into the customer's hands instantly. Complementing the entire Datacard solution for quality assurance, the Datacard EMV Personalization Validation Software validates EMV cards against Barnes scenarios during the production run. It is available for the Datacard MX8100, MX6100, and MX2100 Card Issuance systems. Trust Datacard IDCentre identification software to help you accelerate production and promote security while ensuring quality and efficiency in your ID card program. Tailored for seamless migration, this flexible software makes it easy to incorporate new functionality as your program grows and changes. DataCubes is the first data science platform for commercial underwriting. DataCubes helps carriers improve customer engagement, underwriting productivity, and profitability. DataCubes'​ platform uses data science to eliminate paperwork, provide a holistic view of risks by analyzing a broad array of internal and external data sources, and score and prioritize commercial risks. eClaimStatus provides efficient and cost effective real-time Insurance Eligibility Verification software and Claim Status solutions that power value added healthcare environments. Hi there! Can I help you find the best Other Insurance solutions?